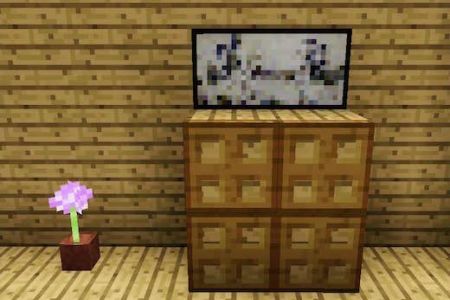 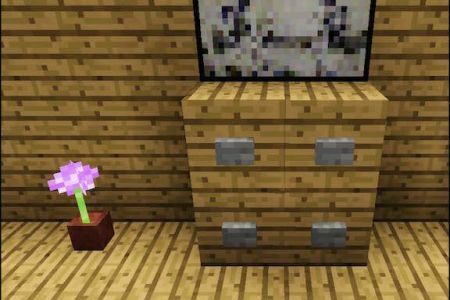 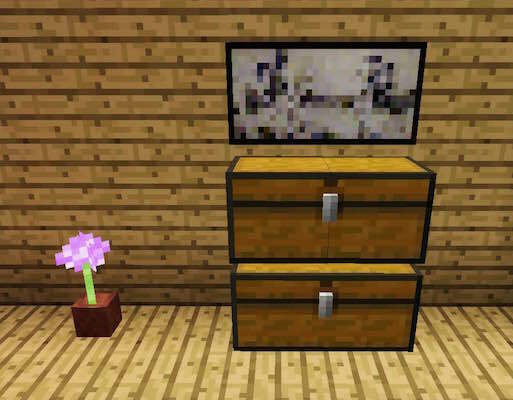 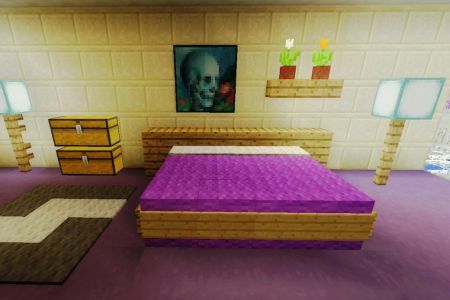 Minecraft Bedrooms can make a house a home and be a awesome looking space with just a little deco for you and your friends to go to sleep for the night. 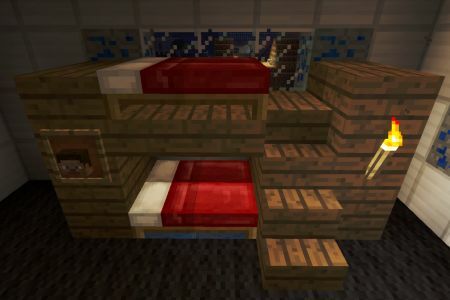 Even if you don’t plan to use the bedrooms to actually sleep in MC, they will be an awesome decorative addition to any house. 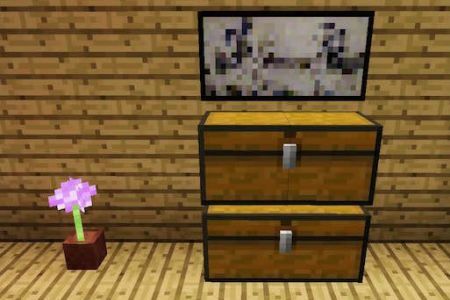 I include a few items and styles for each item so that you can change it up for each of your bedrooms. 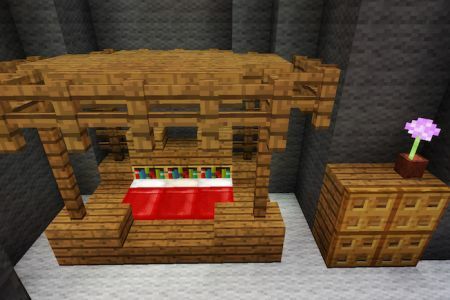 I actually love to use the same color of wood to make my builds matchy matchy, but you could use different colors of wood to make your builds a little different. 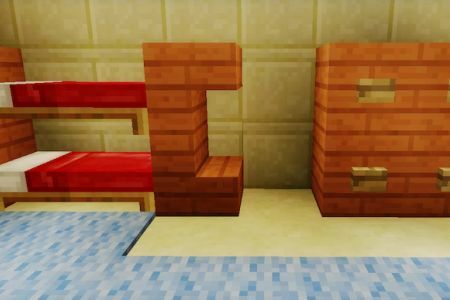 I personally prefer when things that I create are more functional than not for a real Minecraft creative or survival game. 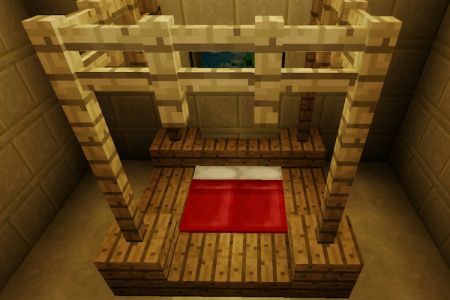 So a lot of the Minecraft Beds in the Gallery below are functional and depending on your space you’ll find one and two bed designs. 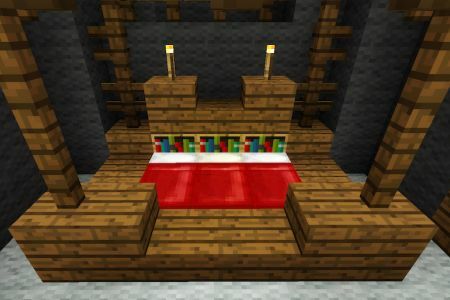 The best part about the different designs is that they are all pretty easy to make even in survival mode once you’ve gathered all the materials. 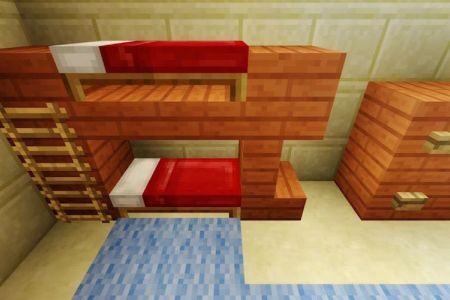 Minecraft bunkbeds are extra fun especially when they are functional. 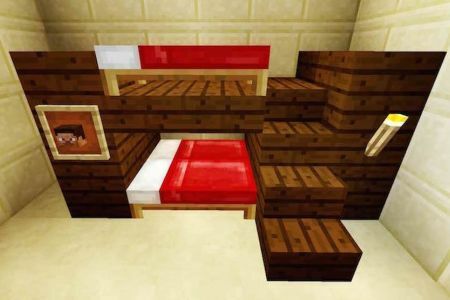 They can be a great space saver as well and hide a small but functional bedroom for two (or 4, depending on how many beds you use). 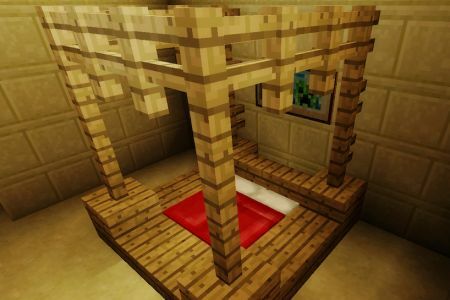 Below are a few Minecraft bunkbed designs for you and a quick tutorial on how to make them. 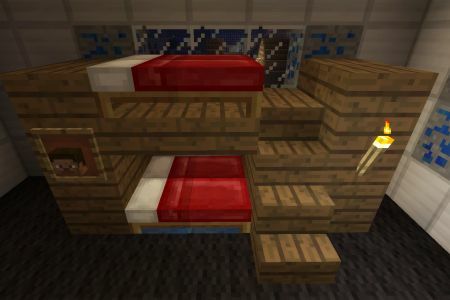 This bunkbed is doubled up so that you and 3 friends can all pass the night quickly in this stylish setup. 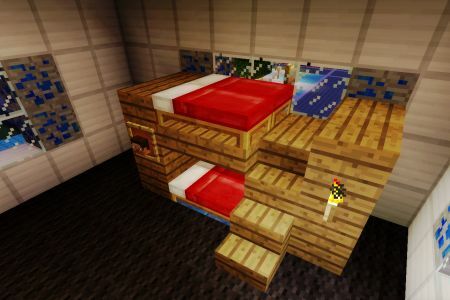 This bunkbed setup is just for 2, but its still pretty awesome as it mirrors the classic bunkbed style by using ladders. 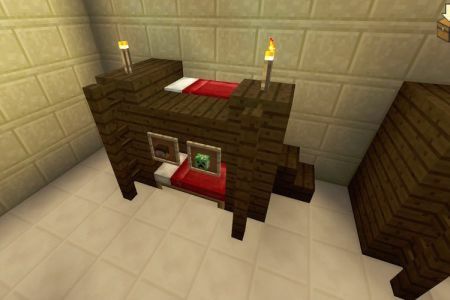 This setup looks cool and can be a place to rest for you and 2 of your friends. 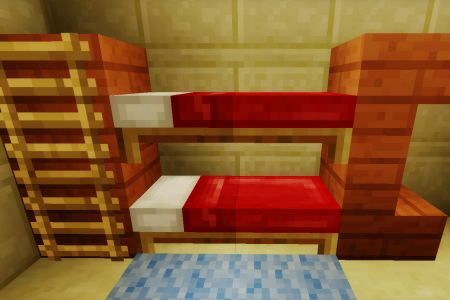 You can call the top bunk all to yourself. 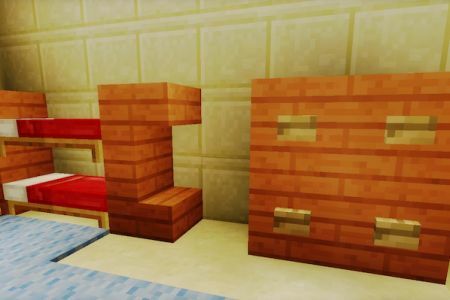 To make a room a room, a dresser is always nice to have close by to your bed. 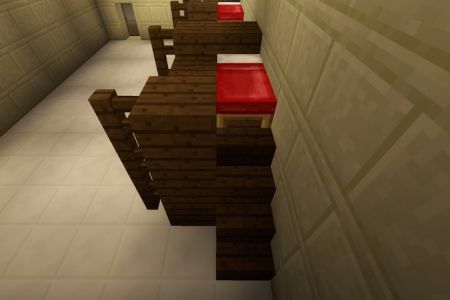 There are functional or semi functional options. 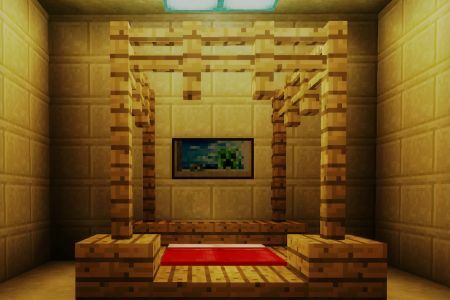 For a real game you might not necessarily need it to be functional (since you’ll likely have a treasure room or way to store large amounts of items you collect if you prefer to keep them). 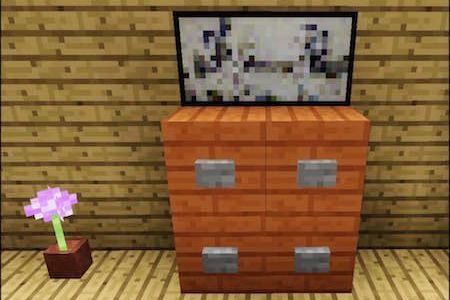 So instead of using a design that you an actually store items in, check out our gallery for some options that aren’t usable but still look great.